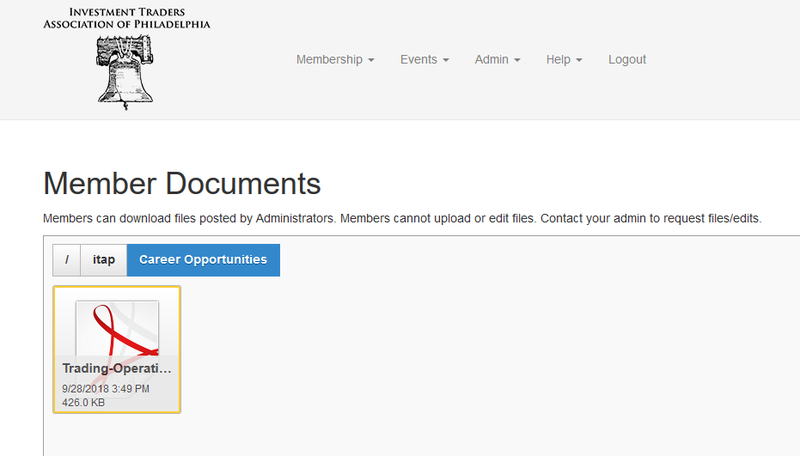 In our ongoing commitment to the Philadelphia trading community, The ITAP is pleased to announce that we are bringing back the JOBS function to our website. Members can log on and see opportunities in our area. If you would like to post a position on the website, please contact Jimmy Nolen at Bancroft Capital: email careers@phillytraders.org or phone 484.373.4896.